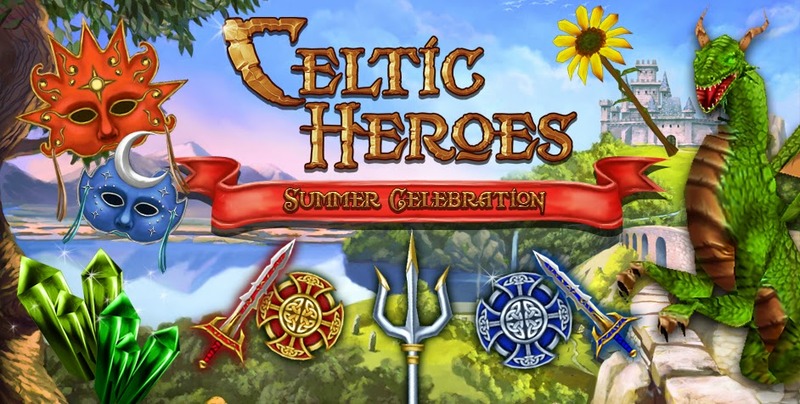 The Summer 2012 event for Celtic Heroes went live on August 10th, 2012 and ended October 15th, 2012, although some content stuck around after the event ended. It included new bosses, items, mounts, and quests. Ythair is a level 140/6* boss that spawned at the stone circle in Lir's Reach. He drops Earthstone armor, bracelets, rings, and necklaces. There are three tiers of items, and Ythair always drops one of each tier: Radiant, Greater, and Lesser. For a long time Radiant Earthstone armor was considered the gold standard for armor, and to this day continues to retain its value due to it's usefulness and low level requirement. This boss still appears as a rare spawn. The Solstice Drake was a level 90/6* boss that spawned West of the Tavern in Lir's Reach. He drops Solstice armor, bracelets, rings, and necklaces. There are three tiers of items, and Solstice Drake drops Greater, and Lesser versions. This armor was sought after because it looks similar to the rare Darkflame Armor, except that instead of red details, Solstice Armor has green details. This boss still appears as a rare spawn. The Solstice Hatchling spawned south of the Crossroads Leystone in the area with the wolves. He drops Midsummer armor, bracelets, rings, and necklaces. There are two tiers of items, and Solstice Hatchling drops one of each tier: Greater, and Lesser. This boss still appears as a rare spawn. Lugh masks are some of the most sought after head fashions, and the white mask is one of the most expensive items for the head fashion slot. The quest started by collecting Green Sunstones near the castle in Lir's Reach to get a red mask. After that, players would travel Lir's Reach to get Yellow Sunstones. There were several colors of masks, and each successive mask required more presents than the previous one. The highest tier mask was the white one. The black one could only be gotten by killing black mask mobs around Lir's Reach. The sunflower wand quest required you to kill a number of small fairies that ran around Lir's Reach. The defining feature of this quest is that the fairies were very small and ran very fast. It frustrated some people because they were hard to see because of this. The reward is a wand that looks like a sunflower. The black hat gang mobs were regular mobs around Lir's Reach that wore black party hats. They had a chance to drop a black party hat. These mobs were not labeled as special mobs, you needed to look at their heads to see if they were wearing a hat. Moon Masks were special mobs in Lirs, Catacombs, Shalemont, Stonevale, and the Otherworld. These mobs continue to spawn rarely after the event ended. Take a look at the Moon Mask Guide here. The Scavenger Luxury Shop was released in the middle of this event on July 20, 2012. It has continued to stay in the game since then, although there was a patch in the early days to correct a few glitches, such as being able to equip two revenant bracelets at the same time. Some of these glitched bracelets that were bought previous to the fix continue to stay in the game. These charm shops were released with the July 20 patch, and were taken away at the end of the summer event. They were later brought back, and the fairy shop continues to be in the game, although she is by the Stonevale Windmill now. The Crookback charm shop was taken out of the game in December 2014 with the Destiny Engine Update.